The Intellicharge i2 is a universal, automatic smart-charger compatible withalmost all types of rechargeable batteries thus eliminating the need to ownseveral chargers. The i2 is able to automatically identify Li-ion, Ni-MH andNi-Cd rechargeable batteries and apply an appropriate charging mode (ConstantCharge Current (CC), Constant Charge Voltage (CV) and Trickle Charge). Each ofthe i2's two micro processor-controlled charging slots is capable ofmonitoring and charging batteries independently. Additionally, yellow and bluepower/charging status indicator lights could visibly indicate battery statusand charging process. i2: The all-new highly advanced smart charger. It's assimple as insert, detect, and charge. 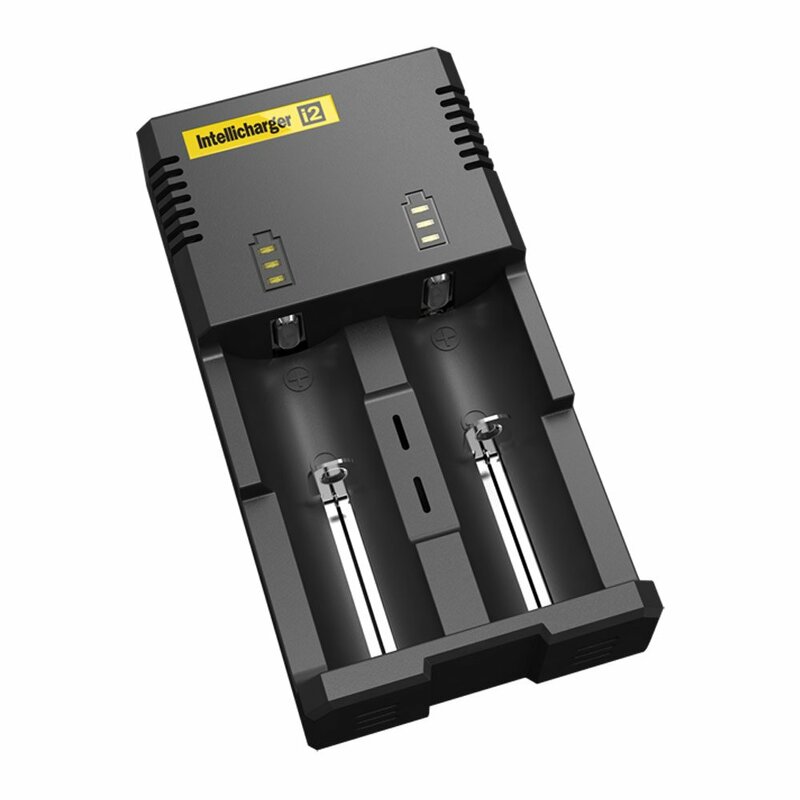 From the Manufacturer The Intellicharge i2 is a universal, automatic smart-charger compatible withalmost all types of rechargeable batteries thus eliminating the need to ownseveral chargers. The i2 is able to automatically identify Li-ion, Ni-MH andNi-Cd rechargeable batteries and apply an appropriate charging mode (ConstantCharge Current (CC), Constant Charge Voltage (CV) and Trickle Charge). Each ofthe i2's two micro processor-controlled charging slots is capable ofmonitoring and charging batteries independently. Additionally, yellow and bluepower/charging status indicator lights could visibly indicate battery statusand charging process. i2: The all-new highly advanced smart charger. It's assimple as insert, detect, and charge.